Additive manufacturing, colloquially known as 3-D printing, has made an enormous impact in nearly every field, from health and medicine, to business and fashion. Even the fine arts have seen tremendous changes in practices like how sculpture is made. Painting may seem like an art form that is incompatible with 3-D printing because paint is typically considered a two-dimensional medium. But magnified close-ups of masterpieces like Rembrandt’s The Jewish Bride look more like a Martian landscape of crests and valleys than a flat plain, and in 2013, Dutch researcher Tim Zaman successfully reproduced this painting with 3-D printing technology. In opening up classic and contemporary fine art to the processes of mechanization and mass production, we may fundamentally and irrevocably change the way in which art is consumed, valued, and disseminated in modernity. 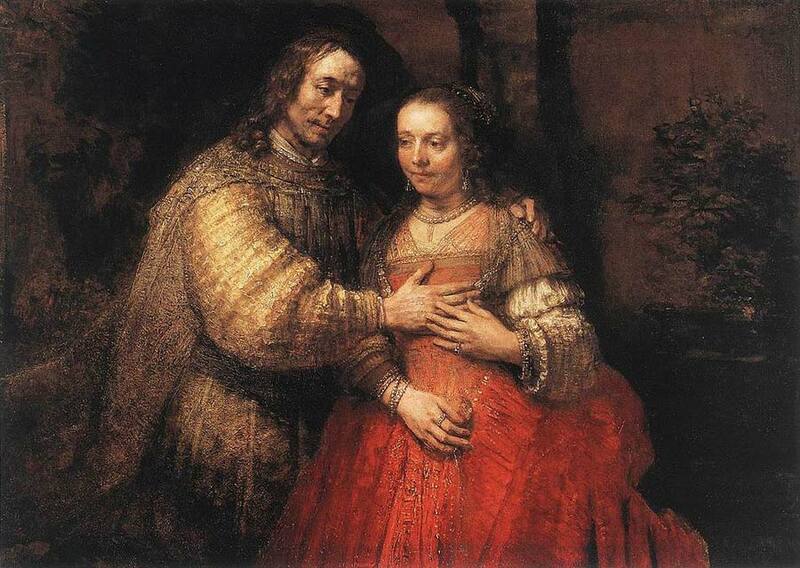 Rembrandt’s The Jewish Bride, completed around 1670, is actually a prime candidate for 3-D replication. Most art historians identify the subjects of the baroque portrait as the Biblical figures Isaac and Rebecca. The artwork captures human emotion beautifully and displays the fascinating impression of different textures that can be achieved with paint. 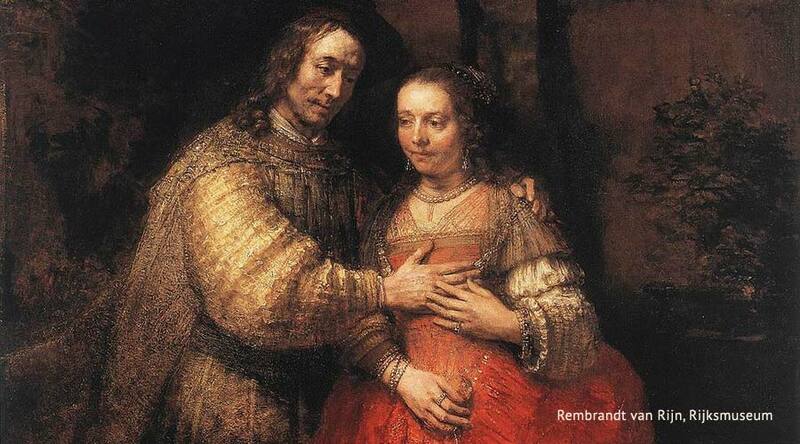 Rembrandt applied paint very densely to certain areas of the canvas. The paint on Isaac’s sleeve, for instance, is so thick that it seems as though a palette knife was used to apply it. This technique, known as impasto, creates a painting with a more three-dimensional sculptural rendering. Another bulging piece of paint on top of Rebecca’s ring creates the illusion that a light ray is emanating directly from her jeweled finger. Scientists theorize that it was the viscosity and unique chemical composition of the paints that helped Rembrandt achieve his technical mastery and create the complex topography that imbues his work with such depth. Chemical analysis of paint from The Jewish Bride shows that ground sand and quartz were added to the paint, and linseed oil was one of several different binders used in the same painting. The quality of today’s paints, which lack the diversified binding media Rembrandt was speculated to use, could make it time-consuming and difficult to replicate his work authentically via traditional means. However, technology has greatly simplified and accelerated the process of making an accurate modern copy. Scientist Tim Zaman made his reproduction using a groundbreaking photographic scanning technology that captures clear, three-dimensional images of fine art paintings that can be used as a blueprint for 3-D printers to print copies layer by layer. Each image shot by Zaman’s two camera system encapsulates 40 million fully-dimensional, colored points. The images represent, in meticulous detail, the physical terrain of the painting being photographed. When enlarged, the appearance of the photos is much like a geographic relief map with elevations of color and thick swaths of texture. The heights and gradients of the artwork are exposed clearly, as are the lengths and types of the artist’s very own brushstrokes. Following the scans, a 3-D printer duplicates the digital images, precisely mirroring every characteristic of the original work, including tactile characteristics like the dense accumulation of paint. The final outcome is a high-resolution copy virtually indistinguishable from its progenitor. Ostensibly, Zaman’s reproductions are of far better quality than the basic prints sold at museum shops, which are merely cheap simulacrums of the real thing. A casual observer would believe his copy was the actual Jewish Bride. But, in achieving such a convincing replica, the floodgates may have unwittingly been opened for unscrupulous characters to mass produce very sophisticated forgeries of famous artworks. The value of originals could potentially be driven down as 3-D printers become smaller and more affordable, making discreet manufacturing a real possibility. In light of these issues, some have suggested that the use of 3-D printing in art be limited to restoration and preservation work only. These and other ethical, philosophical, and legal conundrums will have to be grappled with, as the 3-D revolution will no doubt continue to impact the art world in new and unprecedented ways, even to the point of giving computers more autonomy over the creative process itself. The result was a painting that barely rose above the level of kitsch. In choosing to make a portrait of what is basically an old fashioned, middle aged man, the developers limited the works on which it was based to a smaller selection of paintings that fit the same banal archetype. Presumably, making a composite image that drew from more compelling artistic themes with greater compositional and emotional complexity would have been too much for the system to handle in an intelligent way. Developers were not aesthetically tone-deaf in picking this subject. They simply chose what was deemed feasible for the scope of their facial blending software. Naturally, some stylistic elements of a true Rembrandt are evident in the 3-D print. There is the same overall gravitas and chiaroscuro one would expect from the genius himself. 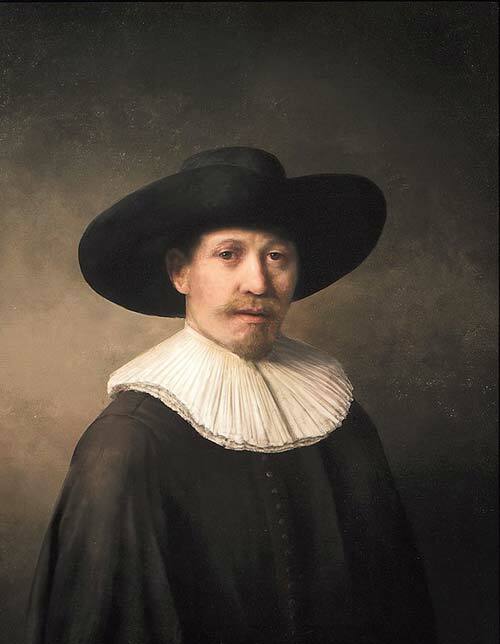 In spite of this, the new painting is not representative of the depth of human emotion and play of light and shadow that Rembrandt perfected throughout his career. Nor does it necessarily come close to embodying what he would choose to paint were he alive today. There is an ineffable and sublime quality to Rembrandt’s work that the complicated algorithms failed to imbue in this print. Whether or not you think “The Next Rembrandt” was a success, it is now clear that 3-D printers can do much more than create exact copies of extant artwork; they can generate unique, sui generis originals that are not quite the sum of their parts. That means that we may eventually be visiting gallery openings completely devoted to 3-D printed paintings and the era when computers will directly compete with humans in the arts is upon us. This is not an intrinsically bad thing. It just means that greater protections must be made available for artists who want to remain competitive in a time when advanced imitations are a real possibility. Artists of current and future generations need to exercise greater vigilance, more discretion, and come to a deeper understanding of copyright laws that maintain the incentive for humans to produce art using the same techniques that gave the world Van Goghs and Rembrandts and Picassos.